Not only do we rescue dogs, but we also serve as advocates for Pit Bulls. Every time we have an event, we are representing this breed. Every dog we choose to rescue is going to represent this breed. We strive to give the public the much needed information about Pit Bulls in order to dispel ignorant myths; but also to portray these dogs positively and accurately. As the first and only Pit Bull specific organization in Orange County, CA, we have also become an invaluable resource to our community. We offer advice and resources to the public to help keep their dogs safe and happy. 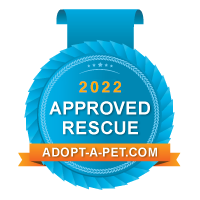 While we are unable to take in every dog, we can help find a constructive way for someone to keep their dog, or, if all possibilities have been exhausted, we will help them find a responsible loving home for their pet. Our goal is to be a support to our community, offering resources and guidance to make this a positive environment for Pit Bulls so they can be happy and loving members of the family. THANK YOU for supporting our mission and helping us work to achieve a better future for all Pit Bulls. Contact us today if you’d like to be part of the solution!